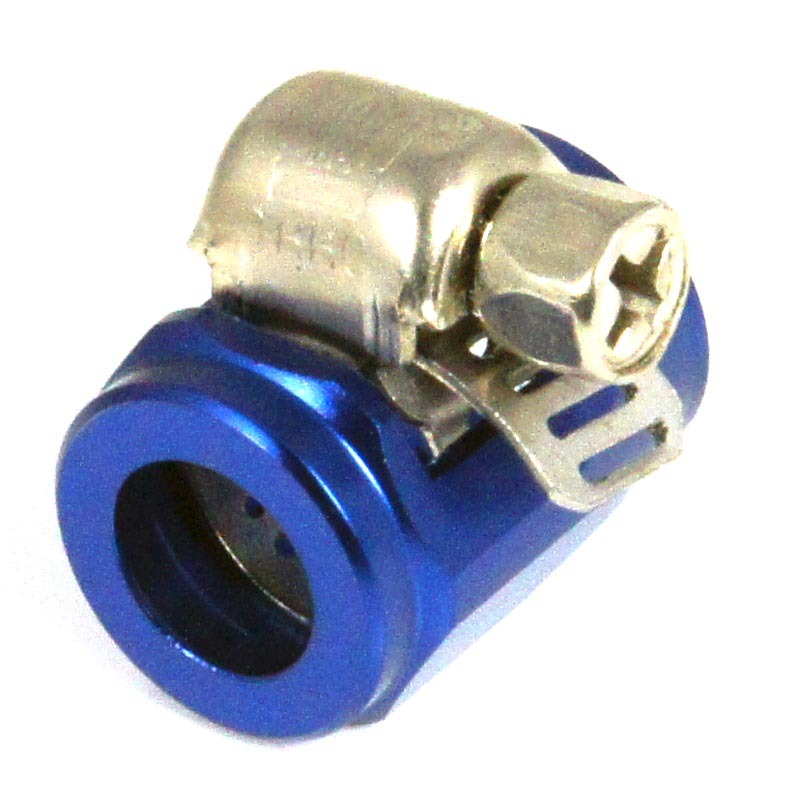 Anodised aluminium with self-contained, hidden all-stainless hose clamps. Great for use with our stainless overbraid. Neatly hides the cut end of the overbraid and smartens up your engine bay. To determine correct size finisher, measure O.D of fitted hose and add 3mm to allow for the stainless overbraid. Max hose size without stainless overbraid 25mm. Max hose size with stainless overbraid 22mm. Max hose size without stainless overbraid 30.5mm. Max hose size with stainless overbraid 27.5mm. Max hose size without stainless overbraid 37.5mm. Max hose size with stainless overbraid 34.5mm. Max hose size without stainless overbraid 44.5mm. Max hose size with stainless overbraid 41.5mm. Max hose size without stainless overbraid 48.9mm. Max hose size with stainless overbraid 45.9mm.